Boston Heart Diagnostics Corp. v. GeneAlign, LLC (17-cv-11412). Judge Talwani found GeneAlign in default after it failed to respond to Boston Heart Diagnostic’s patent infringement complaint and entered an injunction barring GeneAlign from making, using, selling or offering for sale any SLCO1B1 test. She further awarded BHD costs and fees totaling $15,641.49 after determining, taking the allegations of the complaint as true, that the case was exceptional under 35 U.S.C. § 285. Author dmassiplitigationPosted on October 10, 2018 Categories Attorneys' Fees, Injunction, Patent, TalwaniLeave a comment on Boston Heart Diagnostics Corp. v. GeneAlign, LLC (17-cv-11412). Following a trial in which Rolling Optics was found to have willfully induced infringement of several Crane patents, Judge Sorokin ruled on a number of post-trial motions. He denied Rolling Optics’ motion for judgment of no inducement and lack of notice as a matter of law, finding the motion a mere rehashing of the motion for summary judgment that was previously denied. He likewise denied Rolling Optics’ motion for JMOL that certain claims were anticipated, finding the jury’s determination on the credibility of the parties’ experts dispositive. Judge Sorokin denied Crane’s motion for attorneys fees under 35 USC 285, finding that Rolling Optics’ litigation conduct was not exceptional, particularly given that the injunction that would likely result from losing would jeopardize Rolling Optics’ very existence. 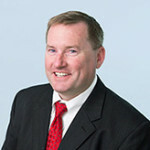 He awarded Crane treble damages, finding that Crane had demonstrated that Rolling Optics had copied their products with extensive knowledge of Crane’s patent portfolio and that Rolling Optics took no steps to ensure that they were not infringing valid patent claims – indeed, Rolling Optics continued shipping products into the United States seven months after it had been advised by its legal team to cease doing so. Finally, Judge Sorokin entered a permanent injunction, finding that Rolling Optics was directly competitive to Crane such that continued infringement would result in harms that could not be adequately remedied at law. Author dmassiplitigationPosted on August 31, 2018 Categories Injunction, Patent, Permanent Injunction, Sorokin, Willful InfringementLeave a comment on Crane Security Technologies, Inc. et al. v. Rolling Optics AB (14-cv-12428). The Atomic Café et al. v. Roy et al. (17-cv-11927). Following up on Friday’s post, Judge Talwani’s Order enjoined the use of The Atomic Café’s trademarks in written and electronic material, but denied the injunction without prejudice with respect to retail sales of Plaintiff’s prepackaged coffee beans, based on Plaintiff’s assertion at argument that it was not seeking to enjoin this use of the mark. Author dmassiplitigationPosted on October 30, 2017 Categories Injunction, Trademark, UncategorizedLeave a comment on The Atomic Café et al. v. Roy et al. (17-cv-11927). Judge Talwani granted The Atomic Café’s motion or a preliminary injunction, enjoining the use of its ATOMIC CAFÉ ROASTERS marks and requiring the return of its equipment; she deferred ruling on the requested injunction relating to trade secrets. Author dmassiplitigationPosted on October 27, 2017 October 27, 2017 Categories Injunction, Trade Secret, Trademark1 Comment on The Atomic Café et al. v. Roy et al. (17-cv-11927). The Life Is Good Company v. MyLocker.com, LLC et al. (17-cv-11911). The Life Is Good Company sued MyLocker.com, Namecheap, Inc., and RamNode LLC for infringing its LIFE IS GOOD trademark, as well as trademark registrations on the “Jake” and “Jackie” symbols that cover the cartoon male and female figures that appear on Life Is Good clothing and merchandise. LIG alleges that the defendants provide services to the website www.lifeisgoodshirt.com that utilizes LIG’s trademarks and through which counterfeit LIG merchandise can be purchased. Specifically, LIG alleges that MyLocker provides the software that allowed the LIFEISGOODSHIRT operator to set up the website, process payments, and fulfill orders; Namecheap provides website/server management services; and RamNode hosts the website. (Notably, LIG is not suing the actual operator of the website/maker of the counterfeit goods, and does not identify such entity in its complaint). LIG further alleges that the latter two defendants failed to respond to complaints from LIG and thus cannot show that they have complaint procedures that meet the requirements of the Digital Millenium Copyright Act’s “safe harbor” provisions. LIG also brings counts for unfair competition and passing off, contributory trademark infringement, and counterfeiting, the last of which provides for statutory damages. In addition to the complaint, LIG moved for a preliminary injunction. Note – as of this morning, the LIFEISGOODSHIRT website appears to have been taken down. Author dmassiplitigationPosted on October 5, 2017 Categories Complaint, Injunction, TrademarkLeave a comment on The Life Is Good Company v. MyLocker.com, LLC et al. (17-cv-11911).